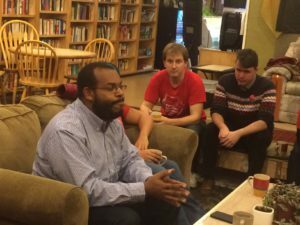 Eugene Puryear, the vice-presidential candidate of the Party for Socialism and Liberation, toured Washington State on Nov. 5 and 6. 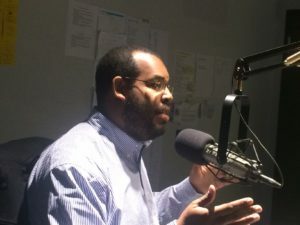 The weekend of campaigning started with a 7:30-8:00 AM interview on local radio station KEXP’s Mind Over Matters public affairs show with Mike McCormick. 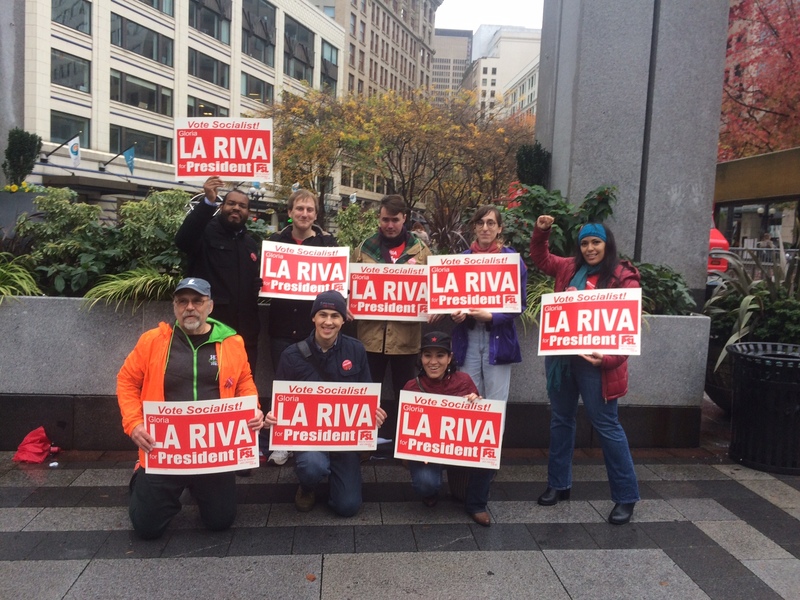 Supporters of the Gloria La Riva/Eugene Puryear campaign gathered at Westlake Park in downtown Seattle for a “Get Out the Socialist Vote” speak out. Despite significant rain, Puryear and his supporters made speeches and handed out campaign literature. The campaign then went to Everett to the Firewheel Community Coffeehouse. Firewheel is a resource that serves as a meetingplace for activists and community groups. 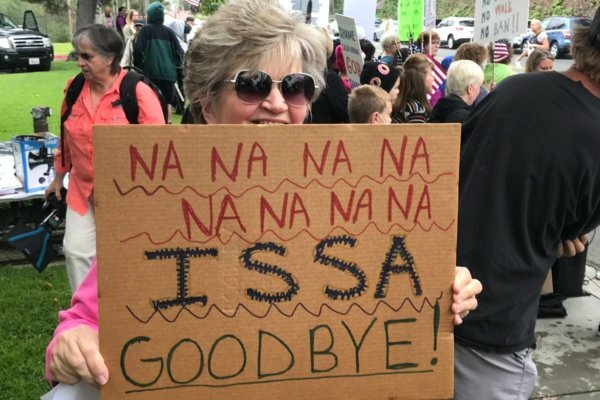 Attendees included a student from Snohomish High School; a local college professor and a woman who had written to ask about the PSL position on the War on Drugs as well as some musicians who had participated in the Everett Massacre Centennial Commemoration earlier that day. 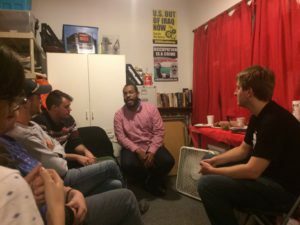 On Sunday, the campaign drove down to Olympia to a meet and greet that was co-sponsored with Eric Miller, Berniecrat write in for State Treasurer. Miller is the only progressive candidate in Treasurer race; the other two candidates are both Republicans selected via the “top two” primary system. The discussion was quite lively as participants shared their hopes to spread leftwing ideas especially among young people. From Olympia the campaign went to the Farmers Market in Capitol Hill, a neighborhood in Seattle, for some additional street campaigning. 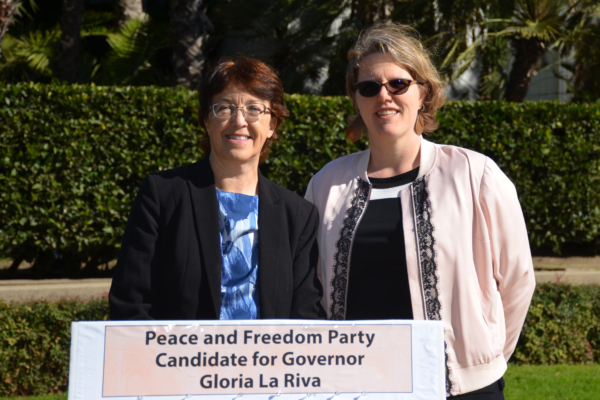 Puryear spoke to three people who said they had voted for Gloria La Riva. The weekend of campaigning concluded with a potluck reception at the PSL office. Several people who had met PSL for the first time that weekend were in attendance.